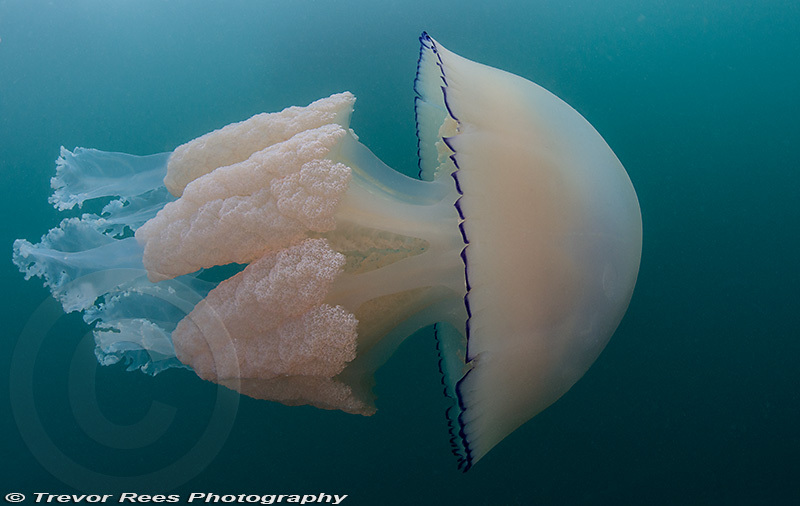 Rhizostoma pulma, reaching up to 80 cm in length are the largest jellyfish in British waters. They may be listed as Rhizostom octopus as well as being called the dustbin jellyfish. This one was seen in Cawsand bay in Plymouth.